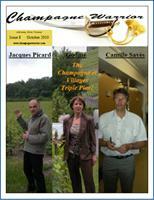 Champagne Warrior brings you the latest Champagne and sparkling wine tasting notes, news, & updates. Want to give the Newsletter a test drive? A sample edition of the newsletter (containing a small portion of the complete Issue 8) is now available for all to peruse and get a feel for what a complete issue contains. Check it out now, by clicking here. It looks like others are in Champagne agreement with the Champagne Warrior – Veuve J. Lanud (featured in Issue 13) is the best kept secret in Champange. Check out the L’unioin’s highlights of the key Champagne events in the spring of 2012 including a few featuring the Champagne Warrior. 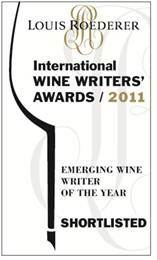 The 2011 Louis Roederer Internation Wine Writer Award Shortlists have been announced and The Champgne Warrior has been nominated in the Emerging Wine Writer Category. It is a great honor to be in the final three for this prestigous award that encompasses all things wine and reaches all corners of the globe. You can view all of the shortlisted nominees here. 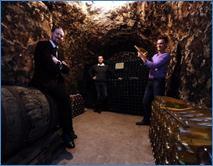 The Champagne Warrior was featured in the Champagne Region’s newspaper in May of 2011. Champagne journalist extraordinare Sophie Claeys-Pergament profiled The Warrior and highlighted the newsletter in a rare article highlighting a writer and even more rare article highlighting a non-Champenois. 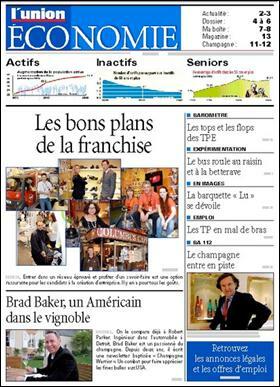 Additionally, Sophie’s L’Union Champagne blog Un Monde de Bulles highlighted The Champagne Warrior and the CIVC/US Champagne Bureau Tasting in June.